Escape the winter doldrums and join JJ for an easy breezy yoga retreat at the all-inclusive Breathless Punta Cana Resort & Spa in Playas Uvero Alto, DR, January 29 - February 3. This modern luxury resort sits on the golden sands of Uvero Alto beach where guests experience luxurious rest and relaxation, trade warm smiles, and make new friends in a sleek and stunning atmosphere. Here on the dazzling northeast coast of the Dominican Republic lies a setting of lively and ultra-contemporary luxury. A place where it’s easy to make new friends and smiles are traded warmly and often. Relax in a cabana by the beach all day or join the DJ parties by the pool. The choice is yours. Live in the balance of Live Big and Breathe Deep from day until night. Live Big devouring delectable gourmet cuisine at eleven dining venue and sipping curated cocktails at eight chic bars & lounges, with 24-hour room service, and lively entertainment. Breathe Deep with a rejuvenating spa treatment at the relax Spa by Pevonia®, soaking in incredible views or hitting the state-of-the-art fitness center. All of this and more is included with Unlimited-Luxury® at Breathless Punta Cana. With rooms overlooking lush tropical gardens and pool All-inclusive luxury accommodations include, 24-hour room and concierge service, pool and beach wait service, unlimited access to gourmet a la carte dining options and beverage options, free Wi-Fi and international calling to the US, themed parties and events hosted by live DJs, and exciting day and night entertainment. And don't sweat about leaving your small pooch behind - Breathless offers small-dog friendly accommodations! 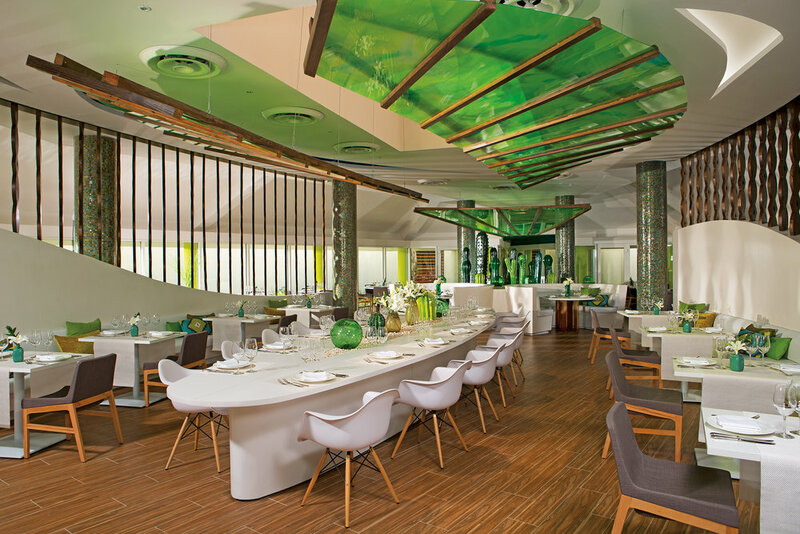 Guests of Breathless Punta Cana also have complete access to the restaurants, pools, spa, and more at the Now Onyx Resort & Spa located next door! Enjoy poolside yoga every day with JJ. Classes will be easy breezy, incorporating elements of the 8-limbs of yoga, including: asana, pranayama, and meditation. Learn how to start a daily practice, or how to feel more established in the one you already have. This retreat is perfect for yoga practitioners of all levels, yoga teachers, and body work therapists. JJ will also offer private yoga therapy sessions to all retreat participants. $75 per session. SCHYS is excited to work with Cathy Zerphey at Bayside Travel. Cathy is available to help answer questions about the resort, book airfare to Punta Cana, and offers travel insurance (highly recommended). When registering, please give name exactly as it appears on your passport. Contact her at cathy@travelwithbayside.com or (800) 288-4911. When registering, please give name exactly as it appears on your passport to Hannah, JJ, or Cathy Zerphey of Bayside Travel (see below for contact information). Note that you must pay the non-refundable deposit PLUS the retreat balance based on room selection. Non-refundable deposit of $300 is required to hold your space for the retreat, plus the balance due below based on your room selection. Deposit due by October 1st, 2018. Balance due by November 20th, 2018.